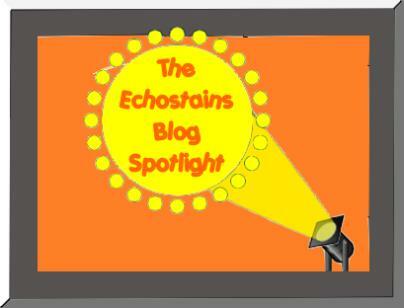 I had listened to an old 1982 video and putting it on my family blog to illustrate an experience I was writing about when it gave me an idea for a post on echostains! The music video is by ‘Imagination’ and it’s called ‘Just an Illusion’ (I’d forgotten how good they were:)) Then I thought of artists who use illusion in their work. The first artist I thought of was Salvador Dali. He liked to slip hidden images into his work. They usually take the form of faces, figures and sometimes animals. The Hallucinogenic Toreador (1968 -1970) has all three. 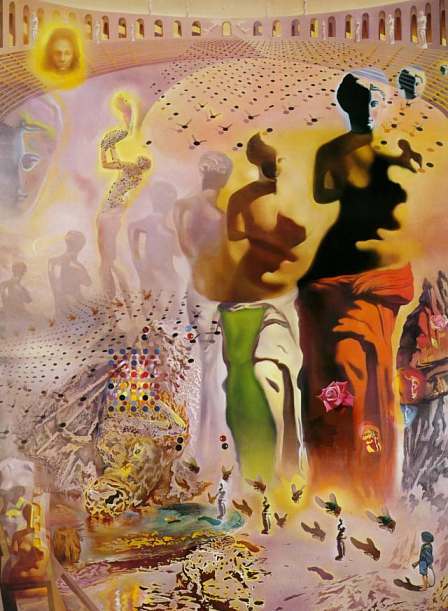 By combining surrealist symbolism with optical illusion Dali creates his own visual language. The scene set in a bull ring includes a portrait of Gala his wife, a bulls head either drinking from water or in its own blood. The pool of water (or blood) in the lower right of the picture shows a yellow raft. Lots of dreamlike symbols in this painting to be found. 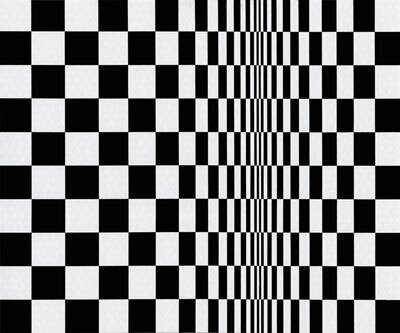 Bridget Riley is famous for her Op Art. 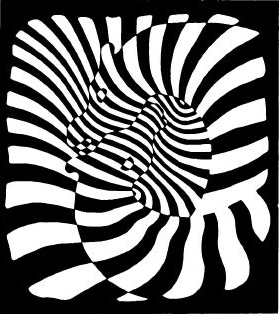 Optical art makes use of illusions. The works are abstract and play with our perceptions. Lots of warping, swirling, bending and movement are the keynotes to this type of art. 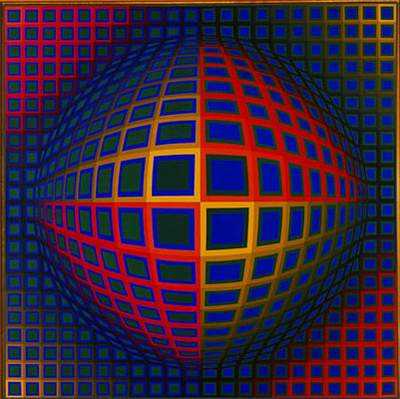 I have seen quite a bit of Riley’s work, which although I admire it immensely – always make me feel a bit giddy or ‘seasick’ especially when seen en masse 🙂 Optical illusions are still going strong. I particularly like this one of Jesus. You stare and stare at the image then look at a blank wall, or sheet of paper. Jesus appears like a ghost! I got the image from this excellent site thanks! Thanks to mmusicool for the video! A lot of people go on to my other blog ‘Bookstains’ looking for something to see. I’ve been putting my own poetry and book reviews on there and just linking to it. Now I am going to host my poetry challenges on there too! The Vincent Van Gogh poetry challenge was a real success and all the entries were very individualistic, imaginative and thoughtful:) I’d like to thank all that joined in – and say that the challenge is OPEN indefinitely so if you want to join in just click HERE, watch the minute long video and send your poem either in your comment OR just email me and I’ll put it on. You may copy the ‘Vincent Could have told You’ logo if you want – don’t forget to link to me at Bookstains🙂 It goes without saying that I shall be promoting the challenges after my posts on echostains. original image from here Thanks! Poll: -Who do you LOVE? I’ll start with half a dozen artists, but I will create some more of these polls if this one is successful! If you are unfamiliar with the art of these artists just click on the images of their work to read the posts I have done about them. Take a letter or two Miss Rathbone! Remember the old typewriters of the past? Yes the past! It doesn’t seem that long ago when we were all using typewriters with ribbons, and then cassettes…. and now its keyboards. 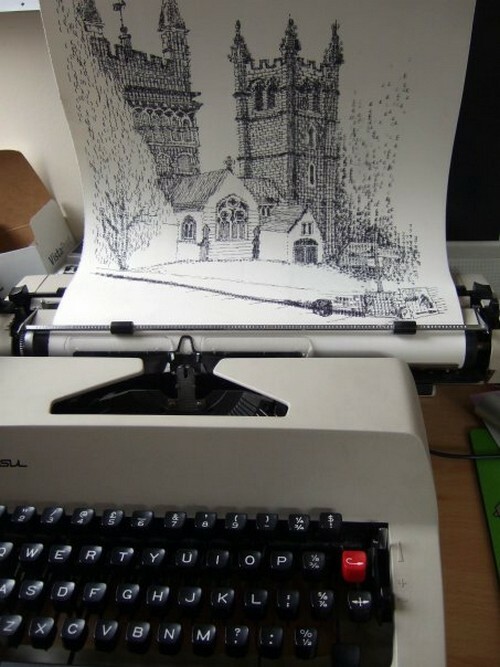 I remember years ago being really impressed with some typewriter art I had seen. A picture of Jimi Hendrix was one image and a butterfly was another one. they were typed with x’s and looked fantastic at a distance. This short video shows a unamed German artist making very impressive art on a typewriter as far back as the late 1950s! I wouldn’t have a clue where to start with this art form at all. It must be all planned out carefully? 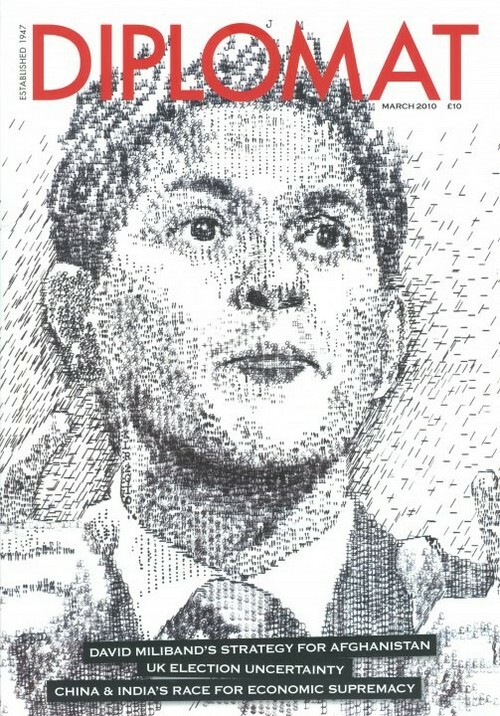 surely it can’t be done like sketching and by eye? 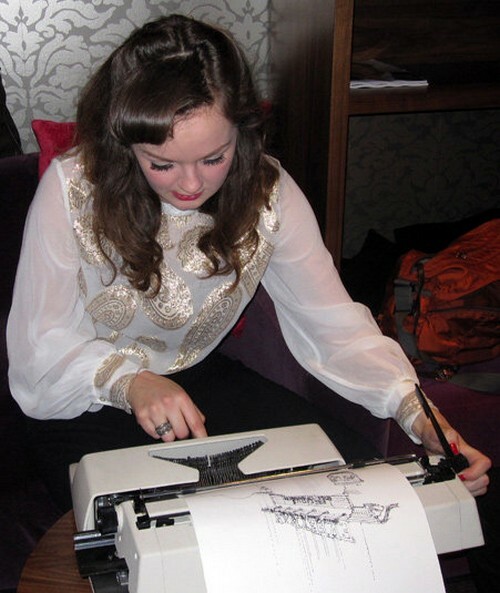 Keira Rathbone, a 27 year old artist from London began to use her typewriter as a drawing tool after she buying an old typewriter from a flea market initially to write with.She then found that by experimenting with it artistically, the results were more rewarding! Typewriter video by eiffe Thanks! Anyone who is a regular reader of this blog has probably guessed that a lot of my posts are spontaneous and that the subject can be prompted sometimes by anything and everything. Sometimes it can be the date of an artist’s birthday, or the subject of a poem or something I’ve seen or heard in the media and want to investigate. Sometimes (like todays post) it is influenced by a comment someone has made. The comment was made on artistatexit0’s great blog. The post was about found objects – a lot of them being toys. 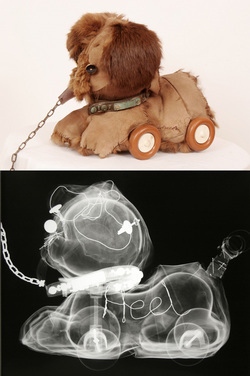 This brought back a childhood memory of the artist’s lost toy and I began to rifle through my mind for an artist whose work I either saw or studied a while ago, who used stuffed toys in her work which she x rayed. Further investigation revealed that the artist was Morwenna Catt. 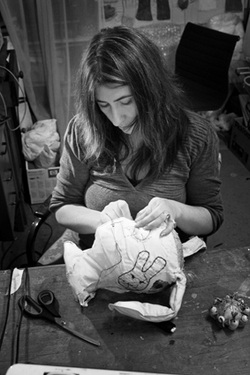 She is an artist whose work confronts the emotional scars of childhood through a storytelling narrative via stuffed toys. The toys are found objects which the artist has opened up – secreted with a ‘message’. sewn back up and then x rayed. The results are startling and sometimes a bit disturbing. Catt invokes a lot of childhood memories anxieties and trauma in these pieces using the dog eared beloved soft toy to convey this. 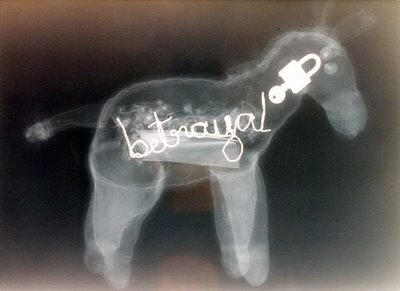 Messages lie within these mute childhood toys – like the horse which hides a key and padlock in its belly:- the message ‘betrayal’ is revealed in this x-ray photo on light box. As well as the textile work, (the artist hand stitches these animals) Catt also works in 3D installation, paintings, drawings and with light boxes. “Childhood is a recurring theme in my work, I try to dispel Fairy Tale mythologies, stripping back to the bare bones of experience and uncovering some kind of underlying truth using personal narratives alongside subverted imagery. I use the familiar and the nostalgic as a trigger, but disrupt the reading. 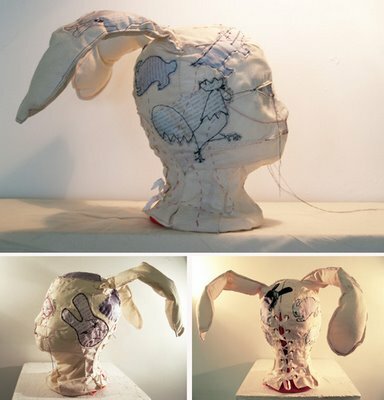 In recent works the family unit is transformed into animals, either drawn, painted or constructed as 3D textiles; malformed, battered and bruised to evoke the darker side of family life. I am preoccupied with our relationships to trigger objects, memory, nostalgia and psychosis. 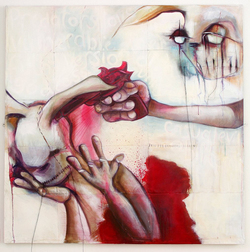 There is much, much more to this artist and her work. She has undertaken many interesting projects and is always coming up with new and creative ideas. I’m so glad to have finally found her again! PS. THE VAN GOGH POETRY CHALLENGE IS STILL GOING STRONG! TO SEE THE POEMS AND TO PERHAPS ENTER YOUR OWN PLEASE CLICK VINCENT! 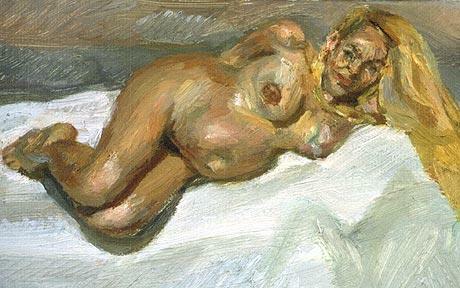 If I was lucky (or rich enough) to own a painting by Lucien Freud I would never be able to part with it. Not so with Jerry Hall, former wife of Mick Jagger (Rolling Stones). She is having a clear out: a clean sweep. She is getting rid of reminders of Mick Jagger and the life they shared. Also going to auction (October 15 – 16th) is work by Frank Auerbach (see my post about another favorite artist of mine) and an Andy Warhol ‘Dollar Sign’ which the artist gave to Hall for helping him with Warhol TV. 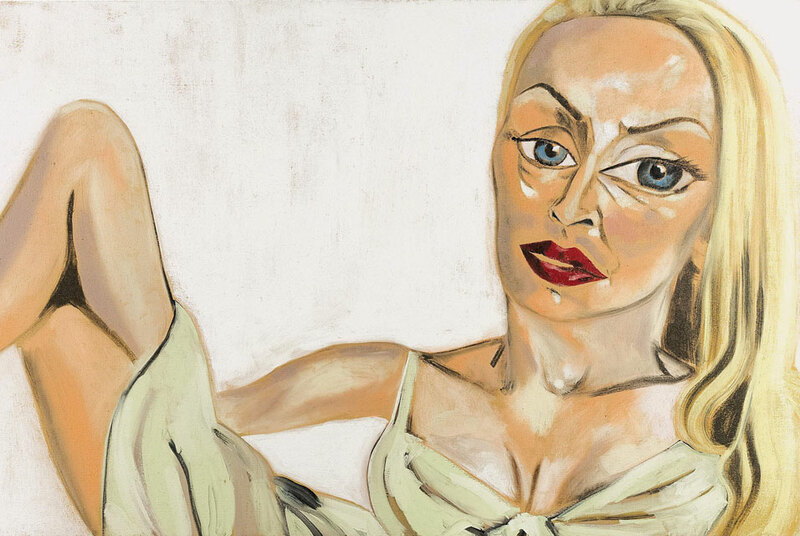 Other items that are heading for the auction include a portrait by Freud of Jerry herself whilst pregnant with hers and Jagger’s fourth child. 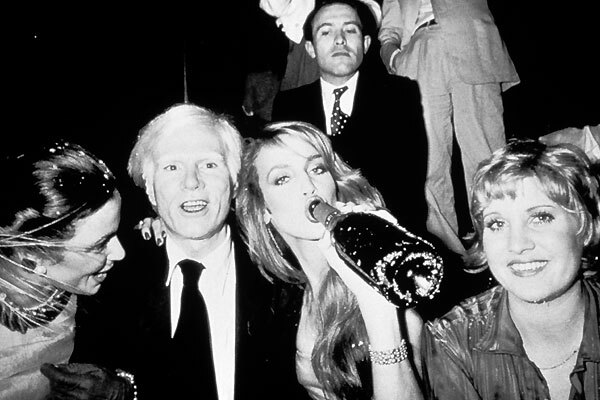 I’ve always liked and admired Jerry Hall. Not only is she beautiful to look at , she has brains too. Coupled with her laid back attitude, her sense of humour, she also has a LOT of dignity. I have to add that I think she has wonderful taste in art too:) I shall be watching this auction and reporting back! I have never encountered this kind of art before – I would say I was blown away by it but it would be a really bad pun (ok that’s never stopped me before..). We’ve all seen balloon art at fairs and as part of children’s entertainment, but this inflatable art is just a little bit different. For a start, the artist Joshua Allen Harris is using garbage bags and tape to make these inflatable statues. Now I don’t know if these garbage bags are new bags or used bags – but the effect is mesmerizing and provides a great deal of entertainment whilst making people smile. The animals have life breathed into them, courtesy of subway exhaust air! My favorite is the Loch Ness monster – which I thought was really comical! What do you think of them? A good idea? a bad idea? – which do you like?